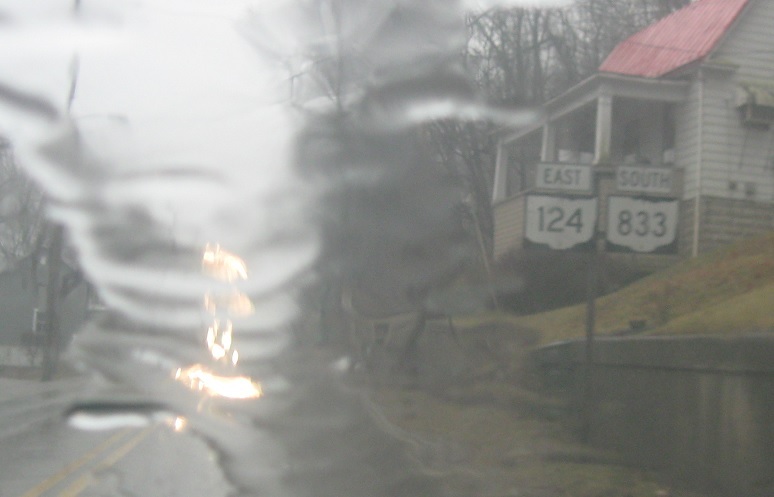 Reassurance shield after the SR 733 junction. 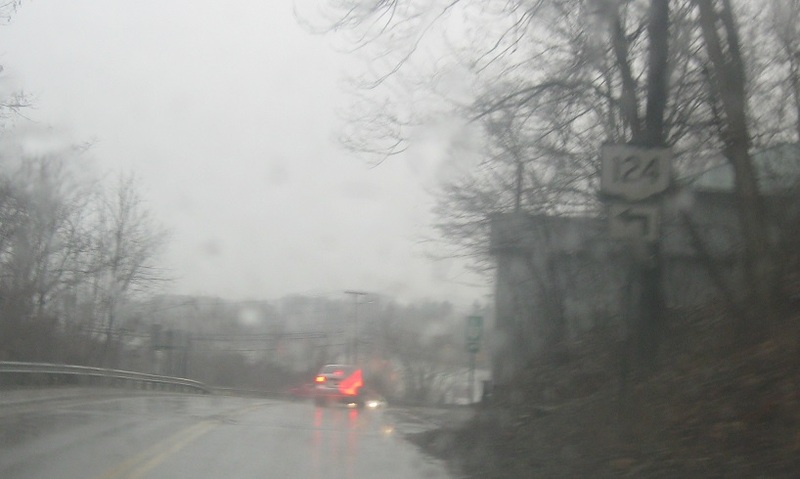 Shortly thereafter, we’ll approach the banks of the Ohio River and SR 833 will split. 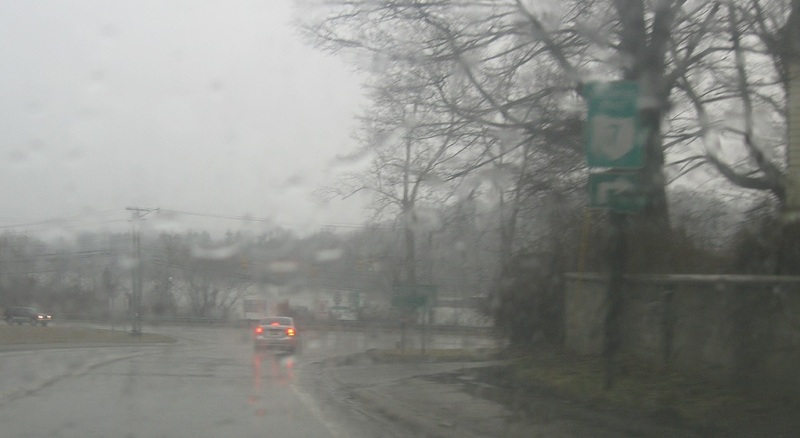 At the split, turn left to stay on SR 124 east. 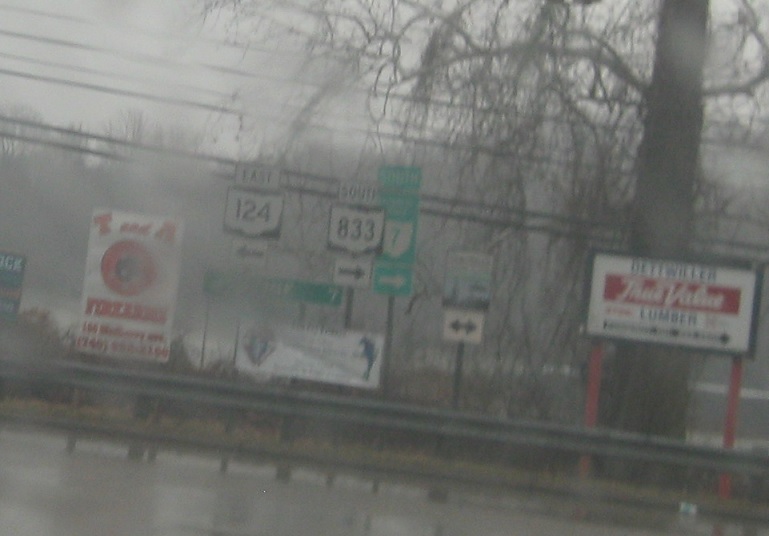 Turn right for the permanent OH-7 detour. 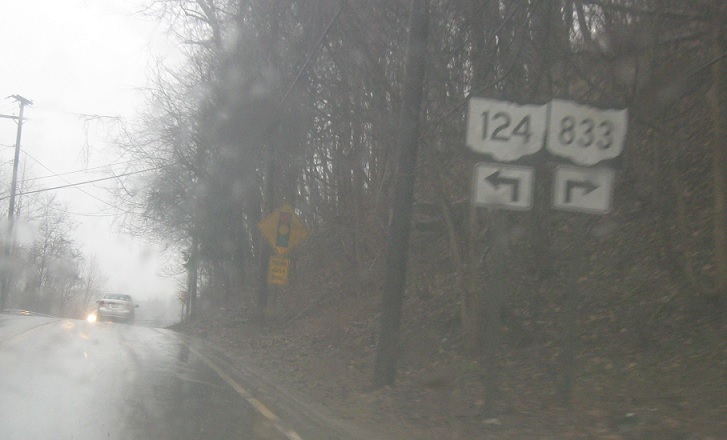 This also used to be the old alignment of 7 south before it was routed onto the US-33 bypass. Turn right for 833 south and left for 124 east.